If you’ve been considering upgrading your home and increasing its resale value, you should know that beautiful and enduring metal roofing is highly valued as one of the top renovation-friendly building materials for rehabbers and new home builders alike. The following table shows average values associated with a typical roof renovation of 30 squares of standing seam metal, formed on-site into 16-inch panels using factory-enameled roll steel (all seams double-locked) with brake-bent flashing from same material for drip edge and all flashing at roof-wall intersections, a 5-square hip roof with custom flashing at two average-sized skylights, a custom cap treatment, all applied over a new felt underlayment with rubberized asphalt membranes at eaves, valleys and all penetrations. The Metal Roofing Alliance has many resources that discuss the features and benefits of different styles of metal roofing. 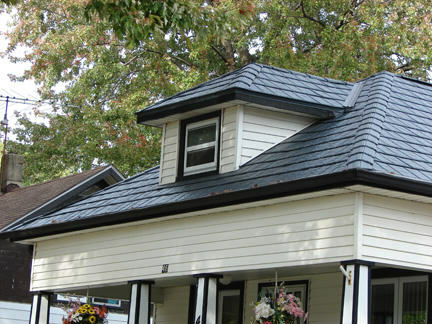 Take a look at their page on Cool Metal Roofing.